In 2017, USAID Oceans awarded grants to two organizations to support the development and implementation of the Philippines and Indonesian learning site electronic catch documentation and traceability systems. Each grantee has worked to support local government and industry partners to advance system implementation and piloting. Masyarakat dan Perikanan, Indonesia (MDPI) was established as an independent foundation to provide on-going care for the conservation of fisheries resources and ecosystems of Indonesia and the region. MDPI supports the development of the fishing communities and supply chains through programs, which support economic improvements and social stability for people. 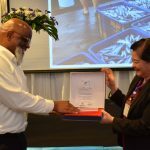 In August 2017, MDPI was awarded a grant by USAID Oceans for the “Initial Pilot Trialing of Catch Documentation and Traceability Systems for Small-scale Fisheries in Bitung, Indonesia.” MDPI’s work under this grant focuses on strengthening fisheries management by coordinating with national and provincial governments and industry stakeholders to implement and test the learning site eCDT system, while also supporting MDPI’s mission of empowering small-scale fishing communities to achieve sustainability by harnessing market forces. SOCSKSARGEN Federation of Fishing and Allied Industries Incorporated (SFFAII), located in General Santos City, Philippines, was founded as an umbrella seafood industry association with over 100 companies involved in fishing, canning, fish processing, aquaculture production and processing and other allied industries. 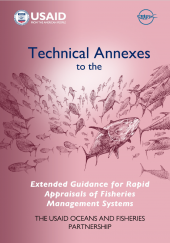 SFFAII works closely with Philippines Government and the Bureau of Fisheries and Aquatic Resources (BFAR). SFFAII works to unite fishing associations and allied industries in SOCSKSARGEN to jointly work for a sustainable and globally competitive industry and to strengthen industry representation and positioning with respect to other players in the world with the end in view of protecting, expanding, and maintaining the country’s strategic lead in the tuna industry. In October 2017, SFFAII was awarded a grant by USAID Oceans to support eCDT system implementation and demonstration in the program’s General Santos City learning site. Through the grant, SFFAII has worked to engage tuna industry and local government partners in support of eCDT . SFFAII regularly engages partners through multi-stakeholder meetings and provides direct support to USAID Oceans’ “First Mover” partners who are piloting the system. In 2018, USAID Oceans selected two organizations to support its human welfare and gender equity objectives in its Philippines and Indonesian learning sites. The grantees will work in 2018-2019 to implement gender equity interventions, engaging women and men for increased welfare within the sector, through program activities for capacity building, advocacy, and empowerment. Perkumpulan KELOLA (Indonesia), “A Group of Natural Resources Management,” works to increase the welfare of coastal people. Established first as a foundation in 1995, the organisation supports the sustainable use of natural resources and works to increase the knowledge of coastal people in managing these natural and marine resources. KELOLA has been successful in using community-based resource management to protect environments and livelihoods from a variety of damaging activities. KELOLA actively participates in developing and supporting regulations that protect the environment, fisheries, and human rights. 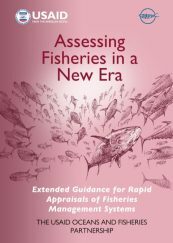 The National Network for Women in Fisheries (WinFish) was established in 2000 with the vision to “create a gender-fair society and a gender-responsive fisheries sector.” The organization strives to increase the awareness of women’s roles in fisheries, improve women’s quality of life through advocacy and networking, and develop a more focused direction for fisheries-related activities of women, in partnership with men. 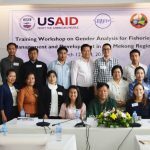 WinFish is well-informed of the gender dynamics in the program’s General Santos City, Philippines learning site, as the group partnered with USAID Oceans in 2017 to conduct a Gender Analysis of the General Santos City Fisheries Sector. 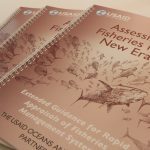 USAID Oceans is currently soliciting applications for the “Study on Use of Catch Documentation and Traceability (CDT) Data to Improve Fisheries Management” in Indonesia and the Philippines. Applications are being accepted until November 5, 2018. More information can be found on the program’s Opportunities page.